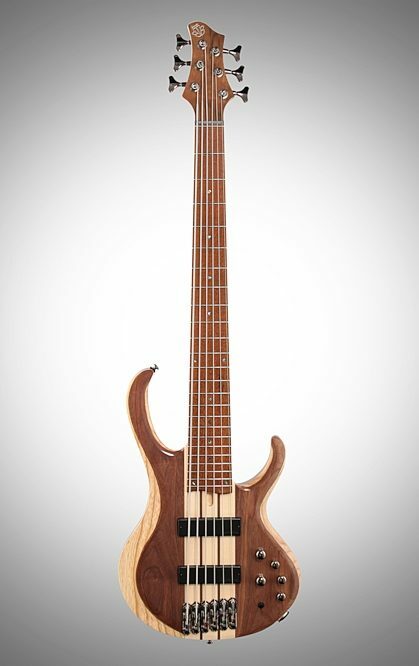 The BTB746 is a 6-string bass featuring an Ash wing body, with a Walnut top/Mahogany back, for a sound that is deep and rich. 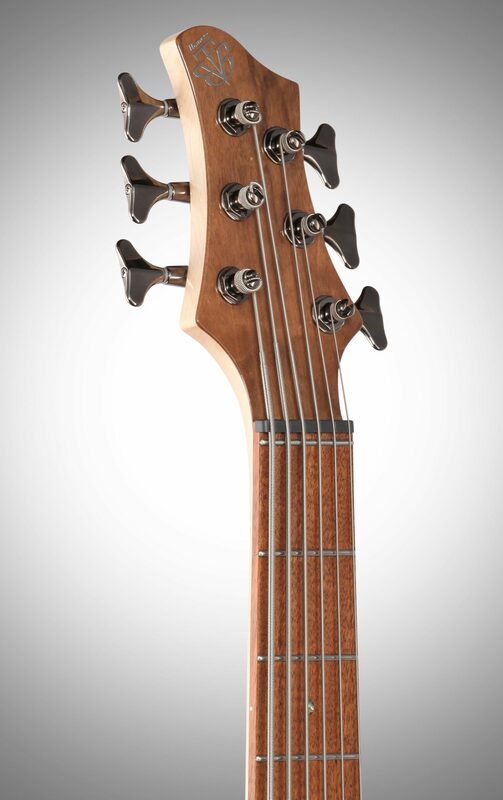 The 35' scale, 5pc Maple/Walnut through-neck supports superior tone, and encourages massive sustain. 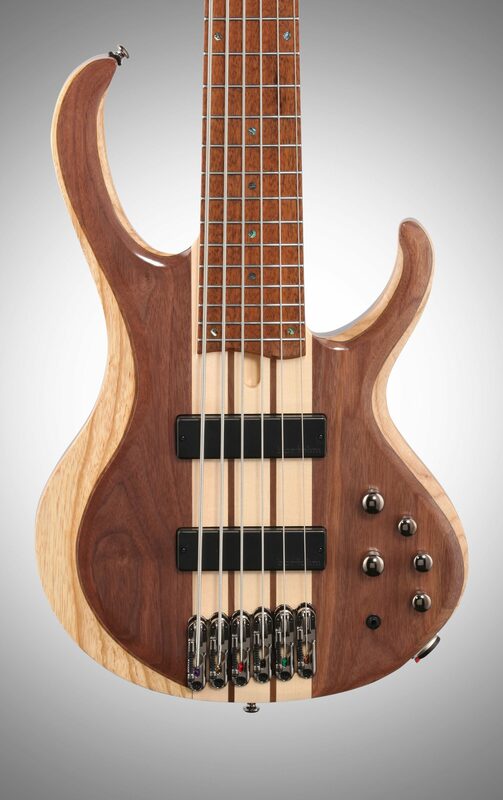 A jatoba fretboard sports highly-durable Stainless Steel frets, to create a bright, articulate sound, and a zero fret provides accurate intonation, while allowing open strings to ring with the same resonance as notes played up the neck. 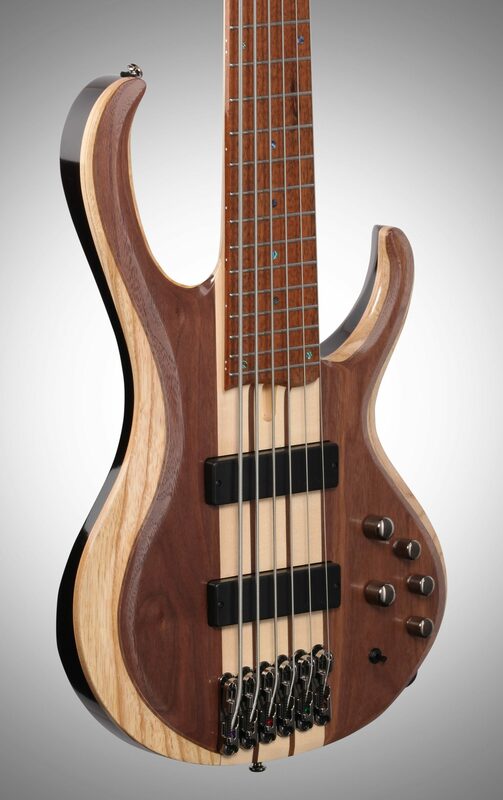 Electronics include Bartolini BH2 pickups for a tight bottom-end, punchy mid-range, and smooth response. Combined with the Ibanez Custom Electronics 3-band EQ, w/3-way mid-frequency switch, the BTB746 contains tonal variations that enhance simple chord work, as well as complex soloing. 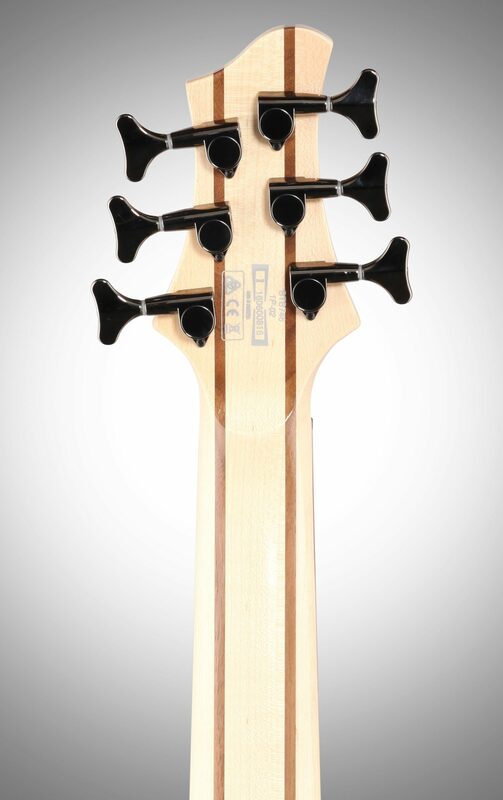 The Mono-rail V bridge allows for a wide range of adjustment, with each isolated saddle securely locked down to the body for optimum vibration transfer, and minimal sympathetic string interference. D'Addario NYXL strings are installed to expand dynamic range and harmonic response. A high-tech Neutrik locking output jack ensures a secure connection, preventing accidental disconnect. 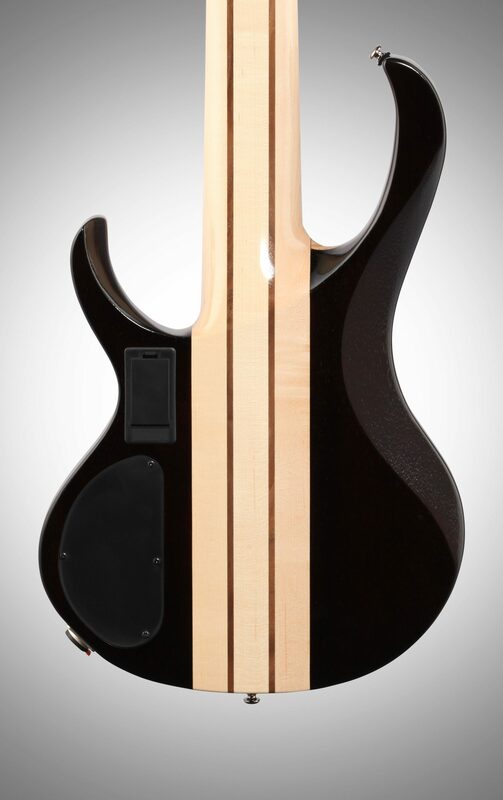 Overall: This bass plays and sounds great! The only things I see that Ibanez could have improved on are more string spacing a bit more on the frets! 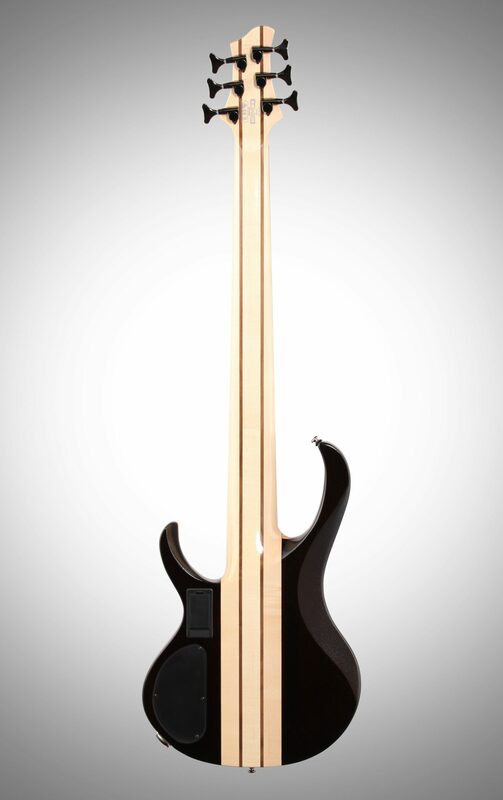 The frets are sharp along the edge of the fingerboard! 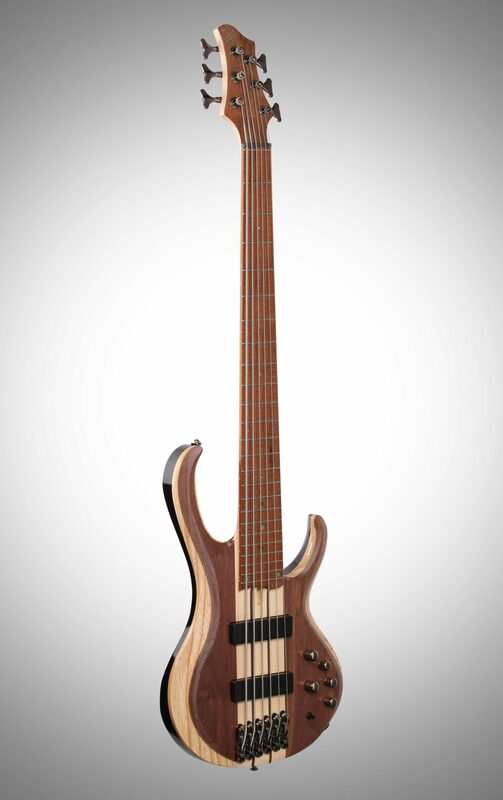 Overall: I recommend this bass for all contrabass bass players I rate this as 10. 2 of 4 people (50%) found this review helpful. Did you?